Kairle Oaks - Handcrafted Goodness: Dacha Quilt :: What Shade Are You? I'm so excited to finally be able to share my Dacha quilt. 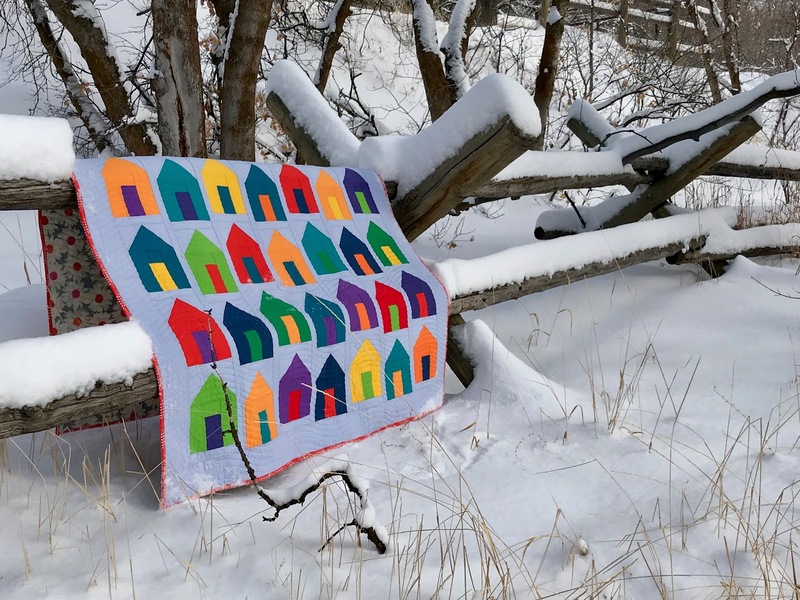 It was made for the RJR Quilt With Love blog and features their beautiful Cotton Supreme Solids. For more photos and information, you can find the original blog post HERE. 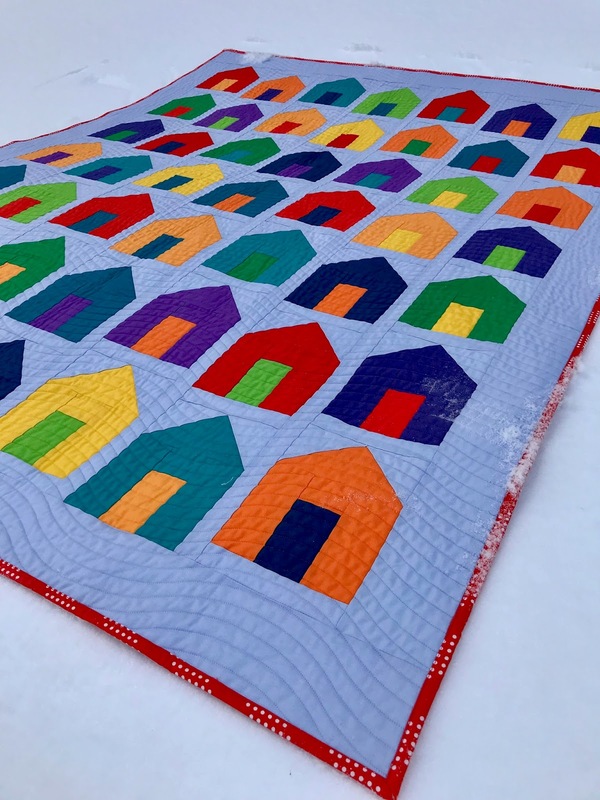 I've also written a tutorial for this fun quilt made of simple house blocks. Click HERE for the tutorial. This is lovely and bright. It looks great in the photo with the snow. Great way to cheer someone up!